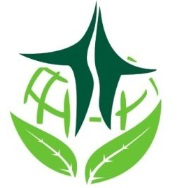 Jilin Province Yi Yang Sheng Biological Environmental Protection Technology Co., Ltd.
We have a top team who comes from around the world,We have got a lot of product quality certification standards at home and abroad,We have Strong productivity, fast delivery. Yi Yang Sheng Biological Environmental Protection Technology CO.,LTD with 50 million yuan registered capital are brought into Liangchen Industrial Park, Economic Development Zone, Changchun City, Jilin Province by Economic Development Zone administrative committee.Our company are the combination of PLA raw material production and sell, PLA product development, PLA product production and sell; which commit in producing fully biodegradable product.Our products have an extensive use in the market, such as: packing material, disposable product, plastic film in agriculture use, 3D print material,medical product etc.Our company produce natural based material master batch;which is easy to be processed.The property parameter is similar with plastic material can be treated with high temperature. The material can be use in injection molding, plastic uptake, blow molding, and film cast. Our PLA material can be alternative material for plastic product in many ways. Our company's main product in PLA material: Fresh tray, shopping bag, waistcoat pocket, medicine bottle, disposable tableware, reproducible tableware, reproducible cup, agriculture use nursery site, agriculture use plastic film etc. Our product strictly follow the international standard during production and passed every indicator set by Jilin province quality supervision department. The test result goes far above the indicator in China with a stable and reliable quality to ensure our customers are satisfied with our product.Our product is not only made by normal PLA material but also been modified and become a new invention.Our product is not degradable material, it's 100% biodegradable material.